Global sales of wearables—a broad category that includes fitness bands, smartwatches and connected clothing, shoes and health gadgets—rose 67.2 percent in the first quarter compared with a year earlier. The market slowed from an even hotter pace in late 2015, when wearables were up 126 percent. IDC cited a "seasonal retrenchment" from the strong holiday sales. Fitbit held onto first place with a 24.5 percent market share, but its sales growth of 25 percent was slower than the overall market. Xiaomi jumped into second place with an expanded line of inexpensive fitness trackers and a new kids' watch to help parents track their children, but IDC said most of its sales were in the Chinese market. Apple was third with estimated sales of its smartwatch of 1.5 million. Although Apple does not release official sales figures, IDC estimated the company sold 4.1 million Apple Watches in the fourth quarter of 2015. According to IDC, Apple was the leading vendor of smartwatches with a 46 percent market share, well ahead of second-place Samsung at 20.9 percent. IDC said wearables are developing into two submarkets: basic single-function devices like fitness trackers and multi-function devices such as smartwatches. 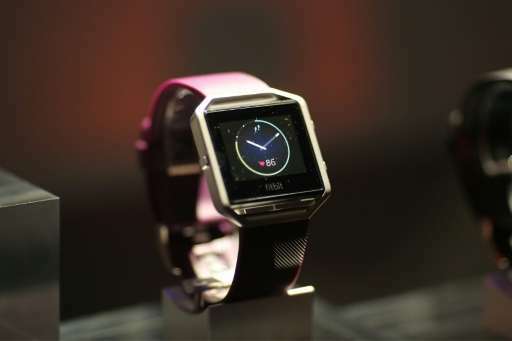 "There's a clear bifurcation and growth within the wearables market," said IDC analyst Jitesh Ubrani. "Smart watches attempt to offer holistic experiences by being everything to everyone, while basic wearables like fitness bands, connected clothing, or hearables have a focused approach and often offer specialized use cases." Ubrani said these devices are not necessarily in competition with each other. "Right now, we see both as essential to expand the overall market," he said. "The unique feature sets combined with substantial differences in price and performance sets each category apart, and leaves plenty of room for both to grow over the next few years."